Economy electronic dictionary and affordable electronic dictionaries. 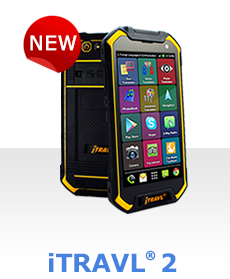 Our best device for language learning and communication. Free Speech Translator. No Internet connection needed; start translating with it right out of the box. A necessity for travel. Communication has never been this easy or fun! Big value for small budget. Instant talking translation of almost any word. 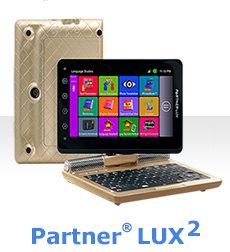 The perfect eReading device for business documents, educational texts, and leisure books. Free speech electronic translator - Translates anything you say. Buy from the maker at ECTACO official website. Don't pay any extra sales charges. Want a simple way to quickly find the right words at the right time? 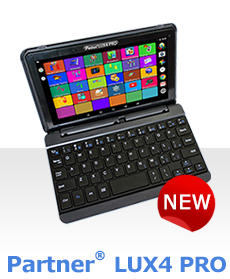 Buy electronic handheld translators and dictionary software! Hold a world of translation in your hands! We offer you affordable and economy electronic dictionaries models. Three main goals were set for the development of these series: usability, reliability, economy and affordability These economy electronic dictionaries are just the dictionaries with all necessary features and no complexities. We hope you'd like our fantastic prices for these models! 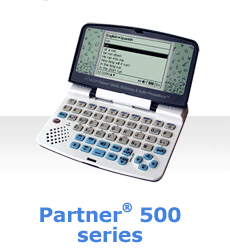 Small size big features, the Partner 500 model packs a punch and contains thousands of words and phrases for instant translation. Type a word on the full QWERTY keyboard and see the translation on the screen instantly, then you can press a button and hear the pronunciation of select languages. Filled with everyday entries as well as business, travel, legal and medical terms this electronic dictionary translator will get you through just about any situation. Super affordable, the C-4 Talking electronic dictionary, phrasebook and translator includes a ton of features you need for communicating and learning all in an eBook design. While the price is economy the amount of resources and programs are anything but. Type a word on the full QWERTY keyboard and see the translation on the screen instantly, then you can press a button and hear the pronunciation of select languages. Perfect for beginners and language experts! We present electronic dictionaries developed by other manufacturers such as Franklin Electronic Publishers, Besta and Seiko Instruments. A wide range of linguistic functions, special learning exercises and large displays make all of these models valuable language tools. 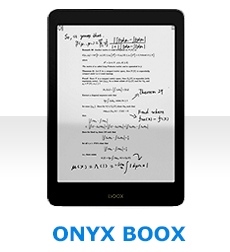 Set our free electronic dictionary on your site. 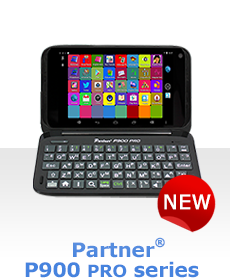 The perfect eReading device P900 series is the best for language learning Ectaco Language Learning and Translation Apps for Android!